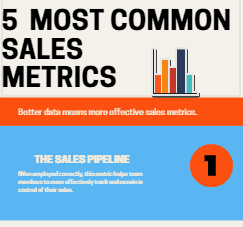 Better data means more effective sales metrics. There are so many sales-related metrics to employ, it can be very difficult to choose the metrics that will be most effective for your business. Which do you use? We have compiled a list of some of the most common sales metrics tracked.